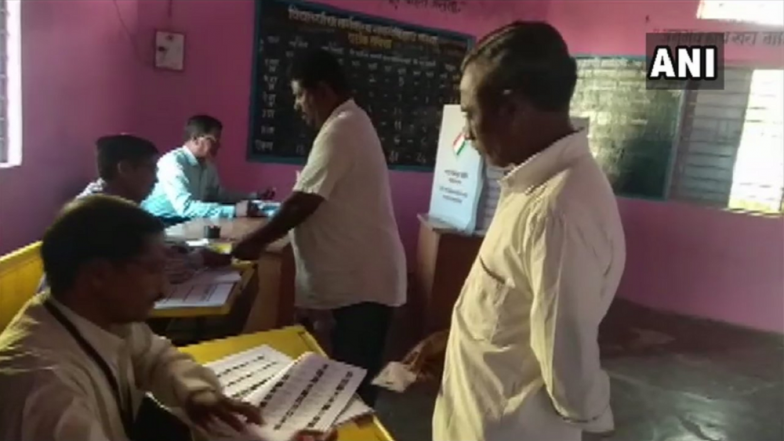 Nagpur, April 11: A robust average of 30.19 per cent voting was recorded at half-way mark till 1 p.m. in Maharashtra's seven Lok Sabha constituencies on Thursday, an official said. Surprisingly, the highest voting -- 41.87 per cent -- was notched in the Maoist-infested Gadchiroli-Chimur and the lowest -- 23.19 per cent -- was seen in Ramtek, a reserved SC seat. The other constituencies' voting percentages figures are: Bhandara-Gondiya (32.02), Chandrapur (30.50), Wardha (30.22), Nagpur (27.47 per cent) and Yavatmal-Washim (26.09). Maharashtra Lok Sabha Elections 2019 Dates: Constituency-Wise Complete Schedule Of Voting And Results For General Elections. Voting pace slowed down in many areas post-noon as the blazing sun discouraged voters from stepping out in the 40-45 degrees heat. A total electorate of 1.30 crore is eligible to vote for 116 candidates in these seven constituencies on Thursday.